Who Is The Other Marine In The Doom Box Art? 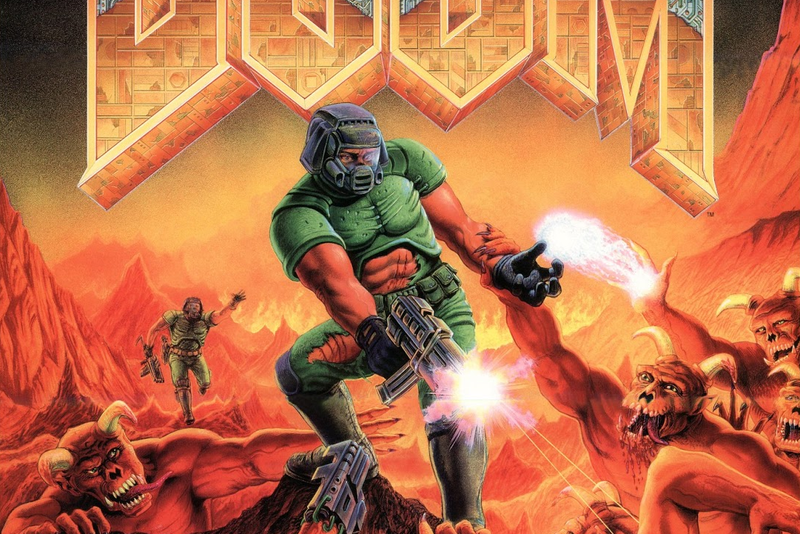 In the classic Doom box art, is the player character the marine in the foreground? Or the guy waving in the back? Or the guy watching the scene unfold in first person? Or the marines that die before the game starts?